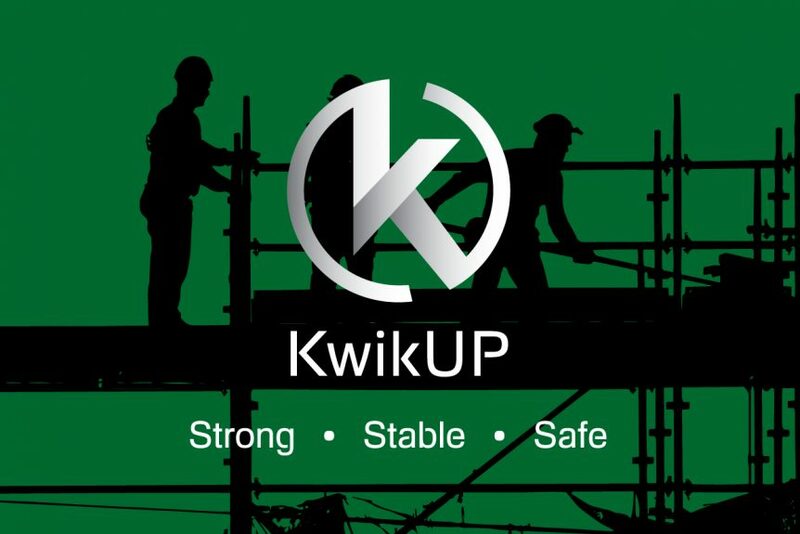 KwikUP are major suppliers of Scaffolding erection, including concrete formwork and originate from a renowned family of scaffold tubing importers throughout Australasia. 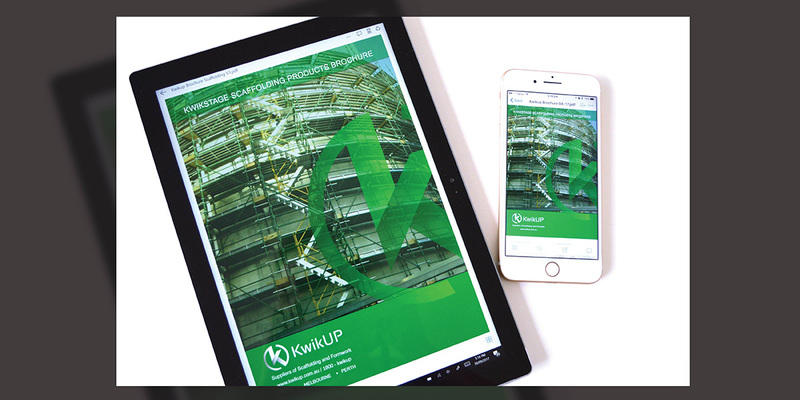 The visual identity of the KwikUP business clearly did not communicate confidence in its professionalism and expertise in the specialised construction sector. 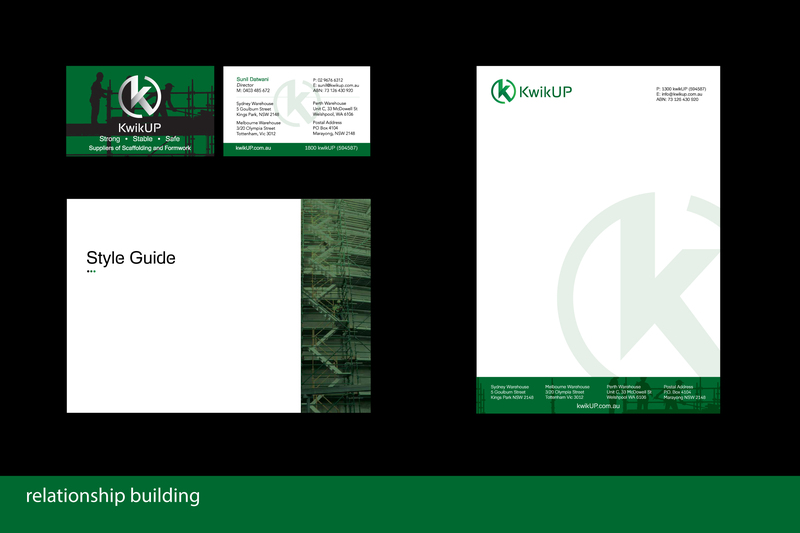 Due to their growing reputation Living Lines were approached to transform the branded identity of this growing company. 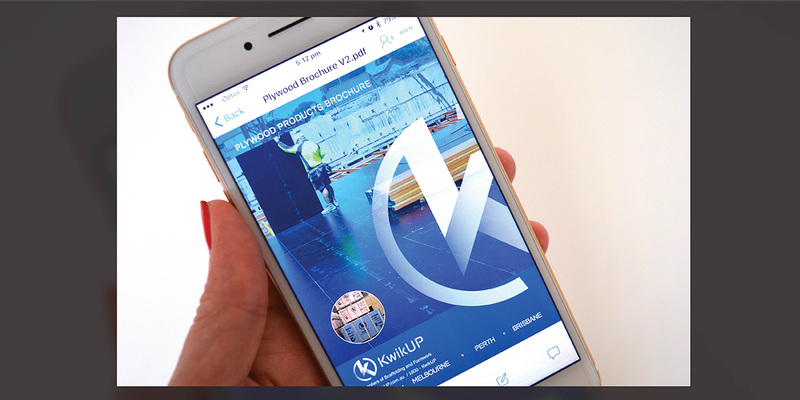 Whilst the previous brand was prominent with builders, developers, renovators and home owners, it was typically the competitive price that gained KwikUP its major works. 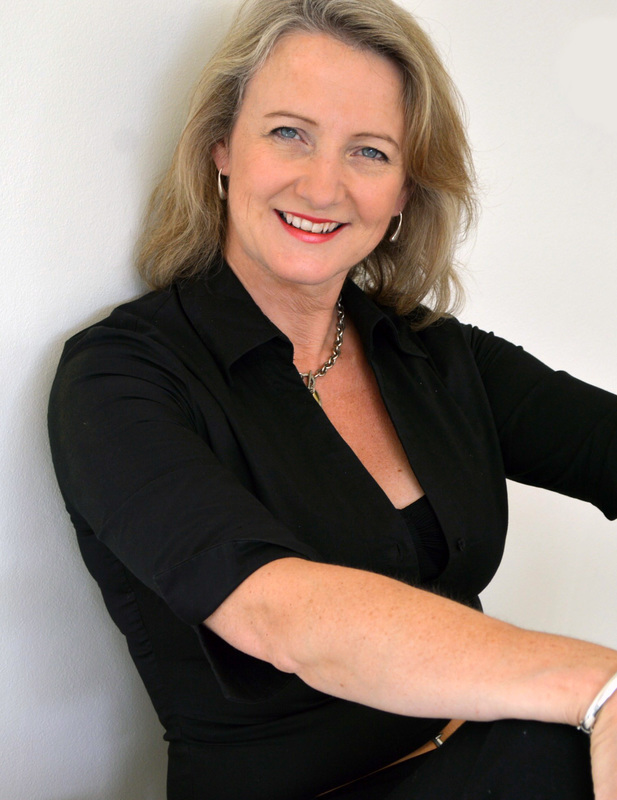 To move away from a price sensitive, competitive space, the new Living Lines brand will need to build on trust, reliability, quality and professionalism. 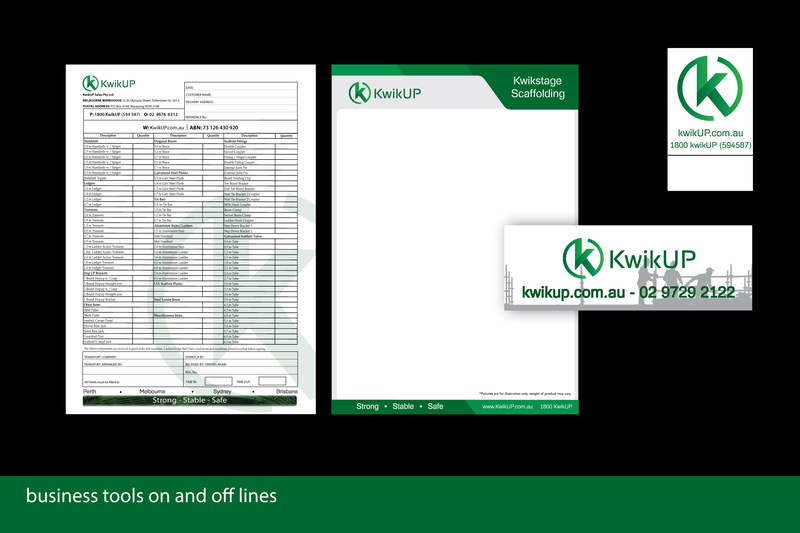 Living Lines initially created a new logo and icon that competed more visibly against competitors. 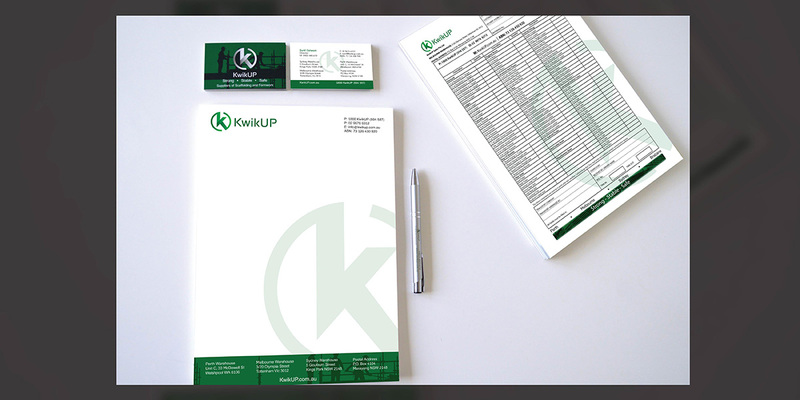 Including a new company proposition (STRONG-STABLE-SAFE) that resonated positively with existing and potential clients. 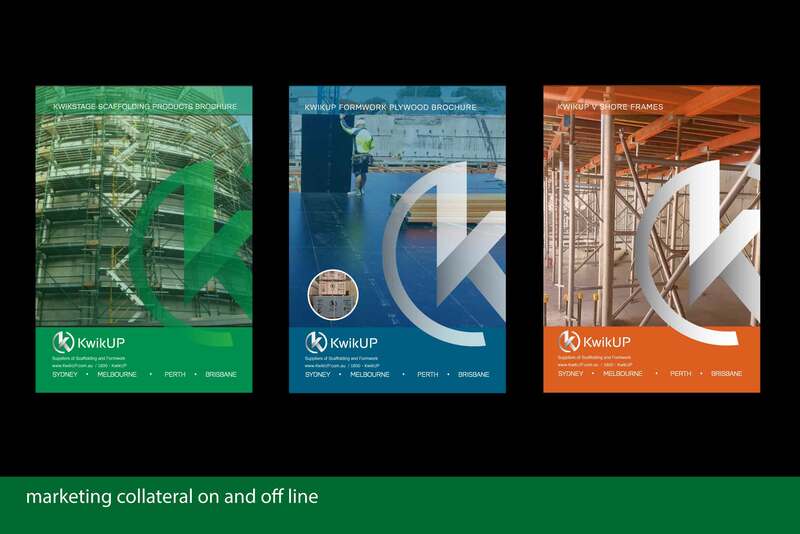 The business called for a design that could be printed on plywood and cast into metal with instant recognition and brand awareness. 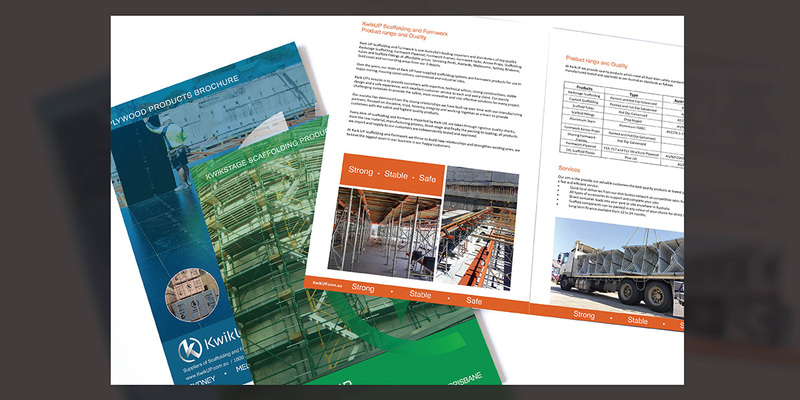 The strong identity and message compiled by Living Lines has been successfully rolled out across corporate material, on and off-line business tools, hard and soft copy brochures and printed and cast into the product itself. Does your brand pass the test? 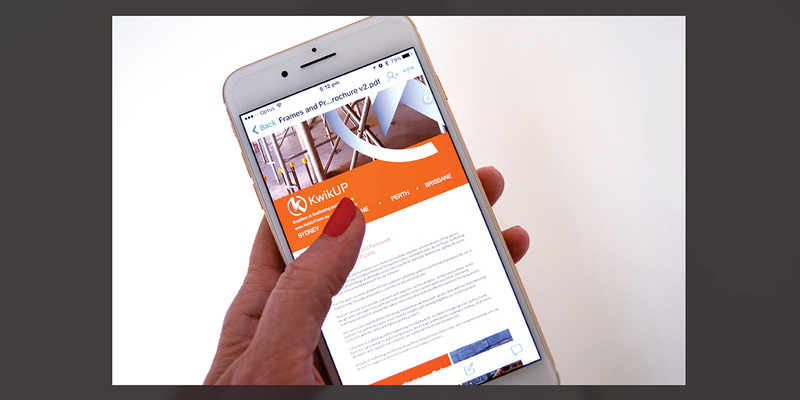 Book your 15 min Assessment with one of our Brand Experts now and find out ways you start to look like an expert in your industry. [ Don't pay $47! ] 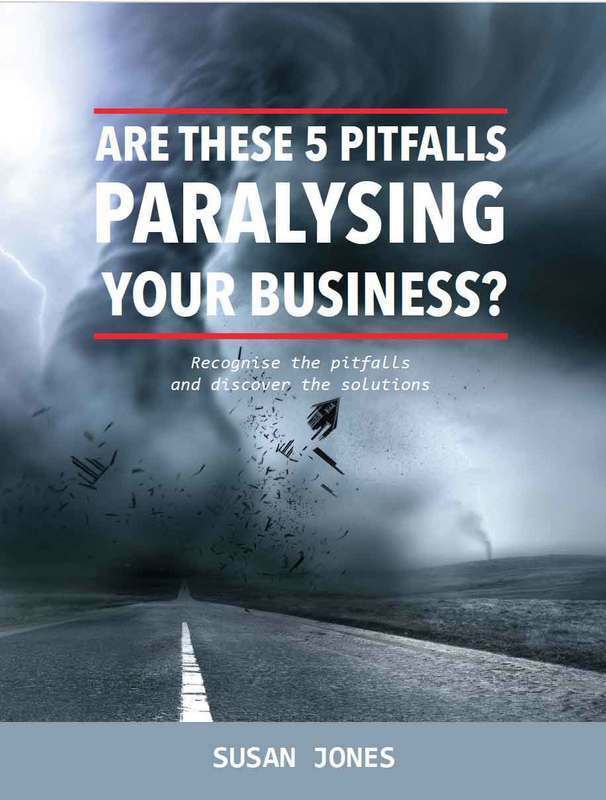 Are these 5 Pitfalls PARALYSING your business? Sign up NOW to get your discount code and SAVE! Success! You should be receiving an email to your inbox with the discount code. 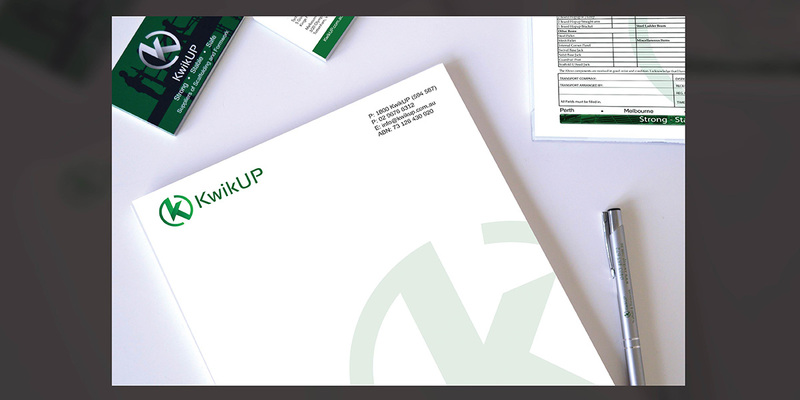 We'll also provide step by step instructions so you can get straight to the website, and purchase your product. Thanks for your support! Susan.